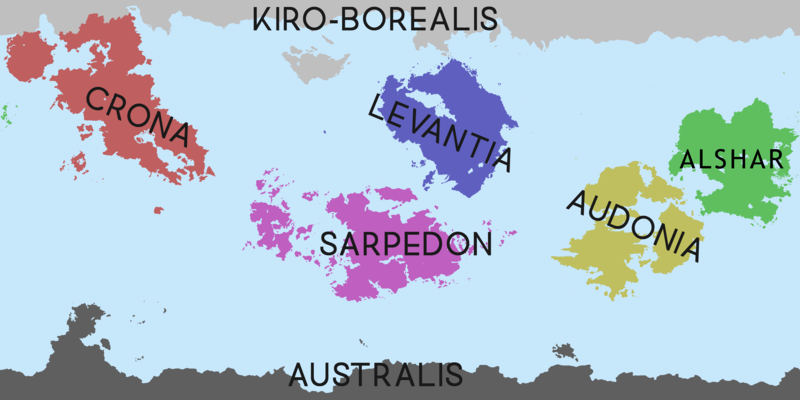 Sarpedon covers an area of about 27,892,902 square kilometers (10,769,510 square miles), about 22.1% of the world's land area and about 3.3% of its total surface. It is the third largest continent by area, following Crona and Punth, and the third by population after Punth and Levantia. In 2029, its population was estimated at nearly 3 billion people in six independent states and eight dependencies. Latin influences are strongest in the northern parts of the continent while indigenous and Punthite influences are relatively stronger in the south. Because of the history of colonialism, most Northern Sarpedonians speak Insuian, Latin, or Spanish and societies and states commonly reflect Occidental traditions. Sarpedon is very diverse when it comes to religions. Although the region doesn't boast the founding of any large religions, it has been the founding place of many sects since ancient times. Caphirian Catholicism is the largest present religion but other sects that originated there, such as Shia Islam and Samaritan Judaism, are also well represented. Christians, in general, represent more than half of Sarpedon's population. There are also other important minority religions like the Recepi Alevism. This page was last edited on 3 April 2019, at 05:57.